Planning the events at a Long Island party for children can be one of the most nerve-wracking things a parent can attempt. Wouldn’t it be great to have everything you need for the perfect party just one click or phone call away? 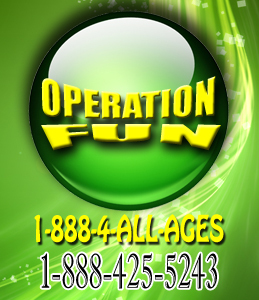 If your child has requested a theme party and you don’t know where to turn for inspiration, check out the wide range of Long Island Carnival Game rentals from Operation Fun, Long Island’s #1 party rental service. Your child and their friend’s faces will light up when they see the Long Island backyard Carnival, and your friends will be wowed with the amount of planning you must have spent hourson- how else would someone put together such an amazing, unique event? The fact that you called Operation Fun for this party carnival rental can be your little secret- and secrets like this are great to have. If you want the entire gathering to be a huge surprise for your guests, take advantage of the staff Operation Fun will send to run your Long Island Backyard Carnival, upon request. Your child and their friends will have a real carnival experience in the safe environment of your own back yard, under the supervision of you and your closest friends. You can choose from the usual old-fashioned carnival games such as the ring toss, or the fun basketball game found at modern carnivals, along with the well-known strength tester games, and everything in between. 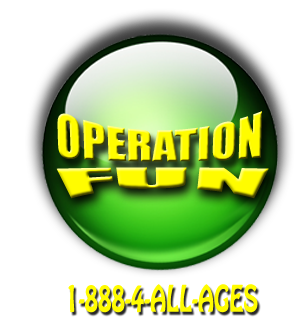 Whether you choose to have one game, or go all out and have an entire carnival set up, Operation Fun can meet all of your backyard carnival needs, quickly and painlessly, with competitive pricing being just one more benefit of choosing them for your party needs. To take your Long Island Backyard Carnival to the next level, Operation Fun offers unique carnival tents to put the finishing touches on the appearance of your event, making it even more authentic! 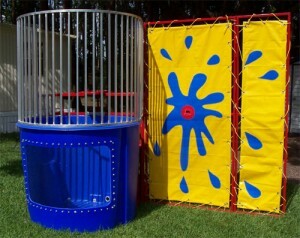 Long Island Party Rentals often offer one of the things that you need to make your party perfect, but Operation Fun has everything from Backyard Carnival games, Inflatable fun houses, concessions, tents, dunk tanks, entertainers, arts and crafts, and dining tables with chairs, making it your one stop shop for all of your party needs, no matter the theme. They even have ‘casino rooms’ themes for backyard carnivals of the more adult nature! No matter what you are looking for in a backyard carnival, you can find something for any carnival theme from games to entertainers and everything in between. There are so many things that can be done with a Long Island Backyard Carnival rental, and Operation Fun is dedicated to providing you with quality party rentals at a fair price with unlimited options for fun!